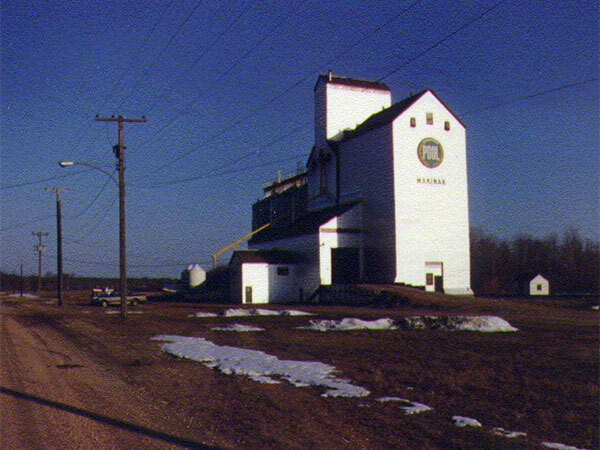 A wooden grain elevator in Makinak, on the CNR Gladstone Subdivision in what is now the Rural Municipality of Lakeshore, was constructed in 1957. A former elevator at the site was converted into an annex at that time. A new crib annex was built in 1969 and the earlier one was demolished in 1987, when three steel tanks were constructed beside the elevator. Renovations to the elevator occurred in 1971, 1979, and 1987. 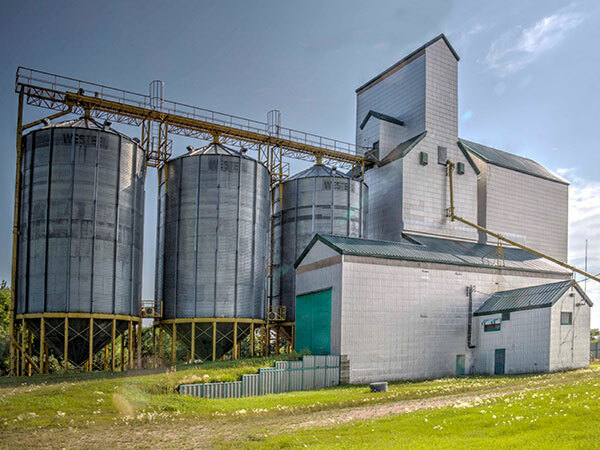 Closed in April 2001, the elevator is now used for private grain storage. 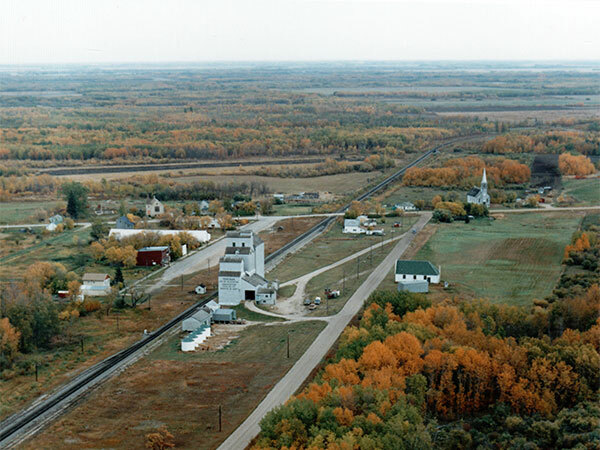 “Gilbert Plains elevators face closure,” Grandview Exponent, 21 November 2000, page 2. 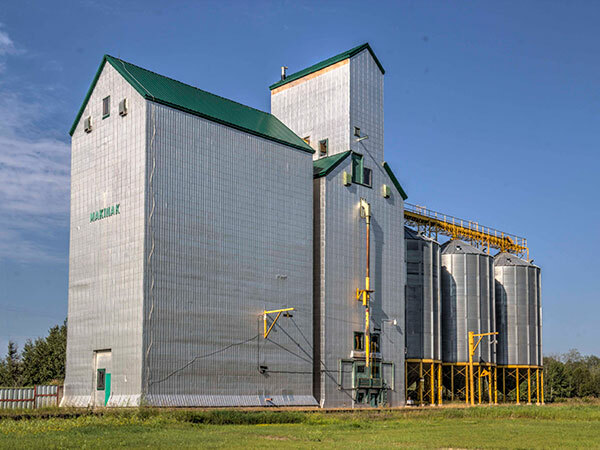 “Agricore to close Parkland elevators,” Dauphin Herald, 28 November 2000, page 6. This page was prepared by Gordon Goldsborough, Glenn Dickson, and Jean McManus.